With over 7,000 species the order Diptera is the largest in the UK. The enormous range of habitats, appearances, biology, behaviours and ease of identification has resulted in the development of numerous groups to study and record them. In an effort to share experiences and provide mutual support, the Dipterists Forum was formed and now conducts field meetings & workshops and publishes a biannual Bulletin and a journal, Dipterists Digest. Within this umbrella organisation are up to 25 different Study Groups and Recording Schemes. Some operate more or less independently, others under the Dipterists Forum banner and all have the continued support of BRC. A full list of these may be found on our website. The published resources listed below are managed directly by Dipterists Forum. Records collected from the Dipterists Forum Field Week 2002. Participants submitted records to the meeting organiser in 2002/3. These were acquired from the meeting organiser by the current compiler in 2016. If any other participants wish to contribute to this dataset then please contact the compiler so that it can be updated (Diptera & Symphyta only). Records collected from the Dipterists Forum Field Week 2015. Diptera & Symphyta. 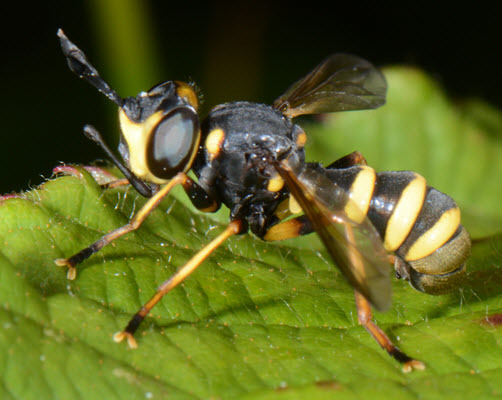 This dataset contains species records for Sepsidae species covered by the recording scheme, and that have been verified by the recording scheme. Records are from datasets made available via the iRecord verification process - these records may originate from direct addition of records to iRecord, or via other datasets that have been added to iRecord for verification purposes.